If you’re in the market for a super-skinny, lightweight, and travel-friendly Windows notebook, you might already have come across a few Ultrabooks in your research. Intel’s trademarked brand for laptops that push the envelope on portability is only a couple of years old, but the chip giant’s marketing machine has done its work well. Most people with a passing knowledge of the notebook market might be familiar with the Ultrabook brand and the general concept behind it, but prospective buyers might not know the current detailed specs that Intel demands in exchange for the right for a laptop to bear an Ultrabook sticker. That’s because the definition of an Ultrabook is something of a moving target: Intel changes it whenever it releases new mobile CPUs. The latest Ultrabook specs were announced last summer, when Intel launched its fourth-generation Core processors, formerly code-named Haswell. But a number of vendors—including Lenovo, with its sublime X1 Carbon Touch—still offer Ultrabooks based on older Intel chips. These machines do not meet the newer Ultrabook specs, since they were introduced before it was finalized. Intel's current requirements—aside from an Intel mobile CPU, of course—include a touch screen, a form factor less than 0.9 inches thick, sufficient battery life for at least six hours of HD video playback, the ability to wake from sleep mode in 3 seconds or less, and hardware support for voice commands and control. Ultrabooks must also ship with antivirus and anti-malware software as well as Intel’s anti-theft and identity protection technology. Intel has a list of requirements for Ultrabooks, but design decisions aren’t among them, so offerings like Sony’s VAIO Pro 13 use form factors to stand out from the crowd. While fairly detailed in addressing size and general capabilities, these requirements don't preclude design choices that allow Ultrabook makers to differentiate their products. Informed buyers shouldn't assume all Ultrabooks are created equal. For example, while Intel has set a limit for thickness, it doesn't dictate a maximum weight. Some Ultrabooks can weigh 4 pounds or more, while others are truly featherweights. Screen size can also vary widely. Displays of 14 or 15 inches are typical, but they can be as small as 10 or 11 inches. Intel, which developed the Ultrabook concept in part to combat the tablet craze, is encouraging its customers to experiment with 2-in-1 form factors that blur the lines between a slate-like tablet and a clamshell laptop. Essentially, they’re both a laptop and a tablet. Detachable 2-in-1s are closer to tablets: They have touchscreen displays that can be completely separated from the keyboard. Convertible 2-in-1s, like Dell’s XPS 12 have hinged displays that remain attached, but you can fold them flat against the keyboard. These new form factors emphasize portability over sheer processing power, so they typically use Intel's lowest-voltage CPUs to conserve energy. But Haswell chips deliver enough power for both routine business use and light entertainment (movies, but not hard-core games). Intel does not control these form factors, so there are 2-in-1s in both designs that are not necessarily Ultrabooks. Intel likes 2-in-1 form factors that blur the lines between tablets and laptops, and Dell’s XPS 12 certainly obliges. Finally, Intel's demanding hardware requirements mean that Ultrabooks might cost more than some ultraportable competitors (for example, notebooks outfitted with non-Intel CPUs, or tablets with Intel's cheaper Atom processors). Don't expect to find rock-bottom prices—even for last year’s models. Acer’s Aspire V7 is powered by a U-Series processor from Intel. CPU: Intel's fourth-generation Core processors include two families designed specifically for Ultrabooks. Like all Haswell chips, they’re identified by 4000-series part numbers, but with a U or Y suffix that identifies them as dual-core SoC (System on Chip) designs. Some processors in the 4000U-series processors—such as the Core i5-4258U and the Core i7-4558U—deliver high-end integrated graphics in the form of Intel’s Iris 5100 GPU. The U-series processors are intended for use primarily in traditional notebook formats, such as the Acer Aspire V7. Intel’s Y-series chips consume less power and generate less heat. They’re designed primarily for detachable computers. If you want to know the exact specs of the CPU in the Ultrabook you’re considering, check Intel’s ARK website. Note that some vendors are still selling Ultrabooks based on third-generation mobile CPUs, formerly codenamed Ivy Bridge. These CPUs can be identified by their 3000-series part numbers. Everything else being equal, these models should cost less than their Haswell-based counterparts. Depending on your requirements, they could be very good deal. Haswell chips aren’t radically faster than Ivy Bridge chips, but Haswell chips do have superior graphics capabilities and they deliver longer battery life. If you frequently work untethered or need fast graphics, paying a small premium for a Haswell Ultrabook is justified. Memory: As with any portable, we recommend 4GB of RAM as a bare minimum. If the vendor you’re buying from offers a memory upgrade to 6GB or 8GB, it’s probably worth the money—especially if you're getting a model with a sealed chassis. 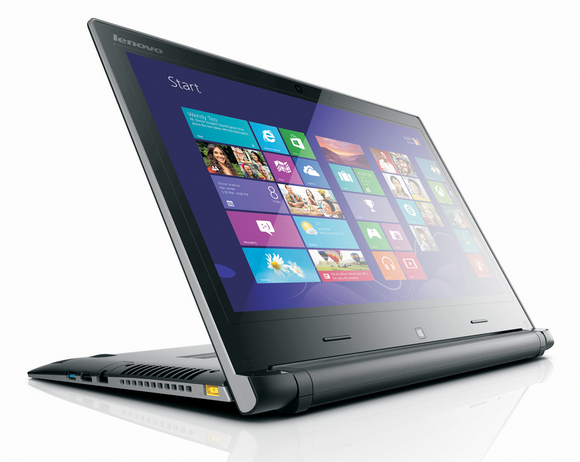 The Lenovo Yoga 2 Pro boasts an ultra-high resolution—an increasingly popular option among Ultrabook offerings. Display: Intel doesn't dictate display resolution in its Ultrabook specs. But the smaller screen size of most Ultrabooks makes 1366 by 768 sufficient for most applications. Go for higher resolutions on larger displays, starting at 1920 by 1080. Ultra-high resolutions, such as the 3200-by-1800-pixel display on Lenovo’s Yoga 2 Pro are becoming increasingly popular. A touchscreen is a baseline requirement for new Ultrabooks, but make sure the one you’re considering is a capacitive model with 10 touch points, so that it supports all of the Windows 8 gestures. An older Ultrabook might not have touchscreen at all, but that’s not a huge drawback. Operating system: Some vendors are still offering Ultrabooks running Windows 7, which doesn't really exploit the touchscreen required in new Ultrabooks. That's fine if you have no intention of using touch to interact with your laptop, but it's important to check what you're getting. Storage: Intel doesn't require Ultrabooks to use solid-state drives (SSDs), but a growing number of laptop makers are deploying them to keep their products thin and light. It doesn't hurt that SSDs also goose start times and boost performance in general. But SSDs don’t deliver as much capacity as slower mechanical drives, and they're expensive—which is why some vendors still offer the platter drive as an option, or a low-capacity SSD paired with a platter drive to deliver some of the speed of the former with the capacity of the latter. Ports and networking: Again, Intel doesn't address connectivity in its requirements, but you should look for at least one USB 3.0 port (more are always better) and HDMI out (DisplayPort is even better). An SD/MMC card reader is a very nice-to-have feature. Some manufacturers are dropping ethernet ports (which means you’ll need a USB adapter for hardwired network connections). Wi-Fi is an Ultrabook requirement. Intel also now requires Ultrabooks to support its WiDi technology, which makes it easy to mirror your display on an HDTV or monitor equipped with a WiDi adapter. Most notebooks now support 802.11n, but check on whether that support is for single-band (2.4GHz) or dual-band (2.4GHz and 5GHz) Wi-Fi. The 2.4GHz band is narrow, and if you're in a city where lots of neighbors have Wi-Fi networks, you’ll find streaming media (or even using WiDi) to be a challenge. Access to the less-crowded (but shorter-range) 5GHz band can help enormously. Sadly, few vendors are currently supporting the newer and much faster 802.11ac wireless networking standard (the successor to 802.11n, which also operates on the 5GHz frequency band, but delivers fabulous range). It's worth getting if available, but you can add a USB adapter if it’s not. Editor’s Note: This is an updated version of a previous article that includes the most up-to-date information as of Nov. 21, 2013. The VAIO Pro 13 trades some performance for looks; but this Ultrabook is so beautiful, you won’t care. The Surface Pro 2 is the best attempt yet at a powerful PC hybrid, but software improvements would make it even better. This quietly elegant executive notebook is small, slim, sturdy and a dream to use. It's expensive, and its battery life is short, but it's one of the best business-travel companions we've seen. The Yoga 2 Pro combination laptop/tablet is a superior experience in either role, and its ultra-high-resolution display is awesome. But the dual design slightly compromises the typing experience. Dell's XPS 12 is better as a notebook than as a tablet, but it remains one of the best convertibles on the market. The Acer Aspire V7 has a few idiosyncrasies—primarily its poorly located ports and power button—but it delivers credible gaming performance in a superslim package.